Usually pronounced “azz-clad” by those in the forensic sciences, The American Society of Crime Laboratory Directors (ASCLD) is a nonprofit professional society of crime laboratory directors and forensic science managers dedicated to providing excellence in forensic science through leadership and innovation. The purpose of the organization is to foster professional interests, assist the development of laboratory management principles and techniques; acquire, preserve and disseminate forensic based information; maintain and improve communications among crime laboratory directors; and to promote, encourage and maintain the highest standards of practice in the field. The ASCLD organization began to take shape in a meeting that occurred in 1973. In the fall of 1973, a small group of some thirty crime laboratory directors, geographically representing the country, met in Quantico, Virginia. 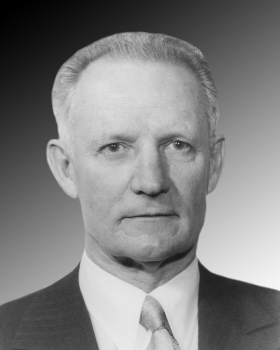 Although called there by Clarence Kelly, then Director of the FBI, it was Briggs White, Director of the FBI Laboratory, who, by his desire to bring local laboratories and the FBI Laboratory together, made it all possible. At that meeting, a steering committee under the able chairmanship of Richard Fox, was formed and met in Kansas City in the spring of 1974. A constitution was drafted, and, in the fall of 1974, in Quantico at the first meeting, ASCLD was born. Chairman – Briggs White, FBI; Vice Chairman – Richard Fox, Missouri; Secretary – Atley Peterson, ATF; Treasurer – Larry Howard, Georgia. On February 18, 1976, ASCLD became ASCLD, Inc.
ASCLD is not an accrediting body. In the 1980’s ASCLD developed a standards subcommittee to evaluate the needs of the criminal justice system. This subcommittee eventually incorporated as a separate and distinct non-profit entity based in North Carolina and has the acronym ASCLD/LAB [usually pronounced azz-clad-lab by those in the profession]. Due to our origins, our acronyms are similar but we are completely separate organizations with independent Boards, missions and structure. ASCLD/LAB merged with ANAB in April 2016 and contact information can be found at www.anab.org. The acronym ASCLD/LAB will eventually sunset when existing accredited organizations complete their transition to the combined accreditation program. ASCLD salutes an elite group of leaders who helped pave the way for the profession of forensic science. The role of president is both challenging and rewarding. Because ASCLD represents the leadership of the forensic science community, the office of ASCLD President, in many ways, is among the most powerful positions in forensic science. Those who have dedicated themselves to fulfilling the duties of ASCLD President deserve special recognition and gratitude. This is our tribute to them. Here are your ASCLD Presidents. When Dr. Briggs White became the Director of the FBI Laboratory, he recognized the need for closer cooperation with state and local crime laboratories, understanding the symbiotic value that could ensue. In 1973, he persuaded FBI Director Clarence Kelly, to invite thirty laboratory directors to a meeting at the FBI Academy in Quantico VA . In the fall of 1974 after a great deal of debate, ASCLD was born with Dr. Briggs White as its first Chairman. ASCLD played a leading role in the improvement of forensic laboratories throughout the world, including raising the profile of forensic science in the legislative assemblies of the United States. Dr. White’s pivotal role was recognized with the establishment of the Briggs White Award for Excellence through Leadership in Forensic Science Management. The award was established at the direction of past President Bill Hartner to recognize an ASCLD member, past or present, who demonstrated managerial excellence in forensic science. After the creation of the Briggs J. White Award, it was posthumously awarded to Dr. White at the 1994 ASCLD banquet. The Awards Committee which is responsible for the administration of the program consists of the ASCLD President, ASCLD Immediate Past President, Nominating and Awards Committee chair, and two non-board regular members. Nominations are received by the chair and a recommendation from the committee is forwarded to the Board of Directors. If the Board concurs with the committee’s recommendation the award plaque is presented at the annual banquet. An engraved name plate is added to the dedication plaque.